The magnificent wildlife reserves of Katavi and Mahale – isolated, untouched and teeming with game – combine to create the definitive wilderness experience of Western Tanzania. You begin in remote Katavi, one of Africa’s least visited national parks in the far reaches of Western Tanzania. Its vast, seasonal floodplains provide sanctuary to a huge variety of wildlife, from hippo and crocodile to antelope, buffalo, giraffe, zebra and elephant. A staggering display rarely seen in such quantity elsewhere in Tanzania. Your journey then continues to the eastern shores of Lake Tanganyika, in the shadow of the Mahale Mountains, where the days are split between tracking chimpanzees through rich tropical forest and fishing and snorkeling in the clear, inviting waters of the lake. Economy flights, full board at Chada Katavi and Greystoke Mahale, and half board at Arusha Coffee Lodge. Based on two people travelling. Upon arrival in Kilimanjaro, you will be met and privately transferred to your stylishly furnished lodge in the city of Arusha. Set on a working coffee plantation, you can relax after your flight by the private pool or on your own balcony overlooking Mt Meru. Today you set off for Katavi, where you’ll find yourself one of only a handful of visitors in an untamed and sprawling wilderness. Despite its remoteness, this wild corner of Tanzania remains one of the most game-dense areas on the continent with a thriving population of elephant, cheetah, buffalo, lion, giraffe and leopard. Crocodiles and hippos fill the rivers and pools, antelope roam the plains and the skies and trees showcase an array of colourful birds. Perched under the shade of trees on the edge of Chada Plain, your lodge provides a comfortable base for exploring the treasures of this untrammelled wilderness. Walking safaris with expert guides, game drives in open-sided vehicles and sleep outs deep in the bush are all part of the experience. Back at camp, you can kick back with a sundowner around a roaring campfire and share your stories from the day. From Katavi you’ll take a light aircraft flight, followed by a boat transfer, to your lodge in the fairy tale forests of Mahale Mountains. Easily one of the most picturesque parks in the country, Mahale Mountains sprawls along the banks of the vast Lake Tanganyika, it’s verdant forest playing host to a huge population of unique wildlife. These include red-tailed and red colobus monkeys, giant forest squirrels, warthogs and the world’s largest known population of chimpanzees. Backed by the slopes of these imposing mountains – which rise 8,000 feet above the lake’s shimmering waters – Greystoke Mahale is perfectly positioned. The main activity here is chimpanzee trekking, an incredible opportunity to observe these playful primates at close quarters as they interact, groom, forage and sleep. 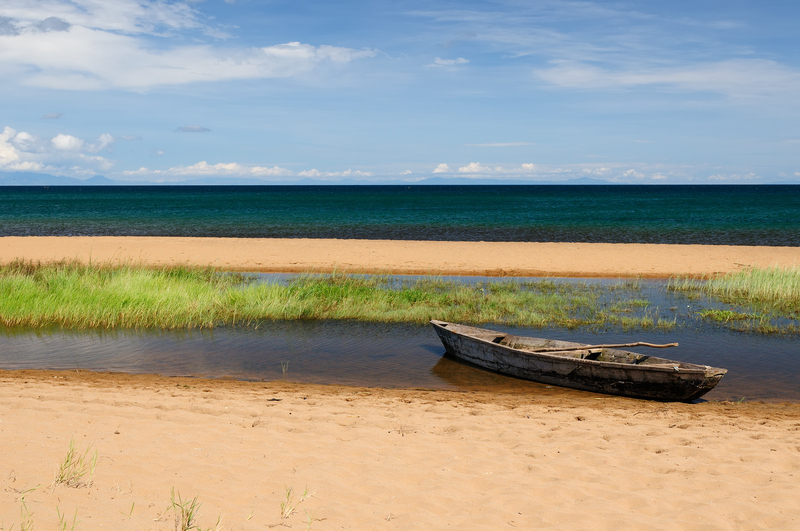 When you’re not exploring the forest, you can relax on the soft-sanded shores of Lake Tanganyika, go fishing, snorkelling or tackle the summit of a nearby mountain. Your adventure through Western Tanzania comes to a close. A boat transfer brings you to the Mahale airstrip where a light aircraft will be waiting to take you back to Arusha. From there you will travel by road to Kilimanjaro, where you will board your international flight – via Doha – back home.